Canon has made the Dual Pixel CMOS Autofocus, a major feature upgrade for their EOS C100 Digital Cinema Camera, available through the Canon Regional Competence Centres in Europe. The EOS C100 is a large sensor camera that is designed with a single shooter in mind. 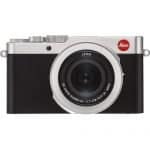 It has a couple of features that are able to aid individual camerawork, including One-Shot AF, Push Auto Iris, auto white balance and a built-in microphone. The upgrade – Dual Pixel CMOS AF – will enable the camera to expand shooting possibilities as it provides smooth, accurate autofocus with a wide range of lenses. Cameramen who require a lot more precision in controlling the responsiveness of the One-Shot AF function will find that it has been enhanced with increased focus speed. The Dual Pixel CMOS AF upgrade is an extra-cost option. It also makes use of the existing Super35mm sensor present in the EOS C100. It can be booked in at several Regional Competence Centres of Canon across Europe, including France, Germany, Italy, Sweden or the UK. Dual Pixel CMOS AF: How Does It Work? The Dual Pixel CMOS AF upgrade of Canon is a sensor-based, phase-detection autofocus (AF) technology. 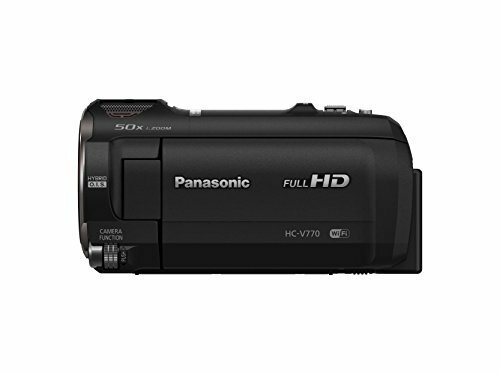 It was designed to provide smooth, high-performance continuous focus in shooting movies. It is a unique technology that was developed by Canon and is ideal for fast and accurate autofocus. With this type of technology, filmmakers get all the assistance they need to create stunning footage which enables them to maximize the creative options that are offered by lenses which are faster and have a shallow depth-of-field. The EOS C100 camera that is upgraded with the Dual Pixel CMOS AF technology will feature a CMOS sensor that consists of an array of pixels, each of which features two separate photodiodes. Phase-difference autofocus is able to ensure non-blurred images and smooth focus transitions by continuously comparing their outputs during AF mode. This is really helpful when the subjects being filmed or the camera is moving. With the update, a high priority is placed on being able to maintain a sharp focus while also being able to provide a natural, smooth autofocus movement with selected EF lenses from Canon that are able to offer more smoother and quieter operation. After the EOS C100 has been upgraded, the active area of the Continuous AF function of the camera will represent 20% of the image vertically and 25% horizontally. With this, a very large, centrally located autofocus zone can be yielded. The AF lock mode will also enable users to set focus and hold it, which then allows them to change the framing while being able to maintain the original point of focus. The Dual Pixel CMOS AF upgrade is able to provide continuous autofocus with a majority of EF lenses, and these include EF and EF-S, fixed focal length, wide-angle and telephoto lenses. The One-Shot AF operation is also supported by selected EF lenses. The system marks an advance with AF speeds that are greatly enhanced. The Canon upgrade is able to provide smooth and consistent autofocus. With this, focus transitions will be more natural looking and subjects will remain focused even when they are captured in motion. The combination of the Dual Pixel CMOS AF with other Canon EF autofocus lenses combines outstanding optical tools that have a variety of creative options. Using the Contrast AF system to supplement the Dual Pixel CMOS AF of the EOS 100, the camera is able to determine which direction the lens should be driven to initially. This is really helpful in minimizing focus hunting. With the combination of Contrast AF with the Dual Pixel CMOS AF, faster focus acquisition is achieved because the system is able to determine the correct direction where the lens will be driven at. 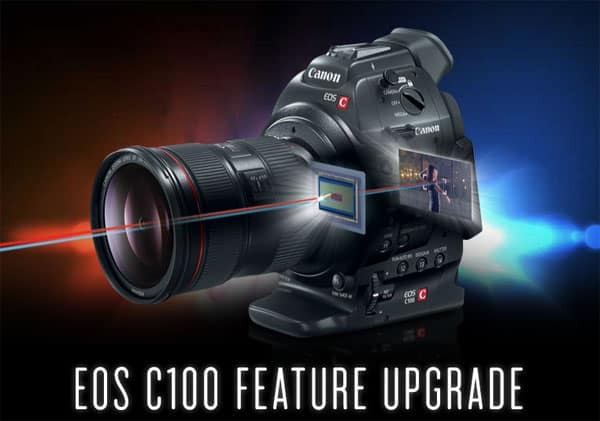 With the upgrade, the EOS C100 camera will be able to focus a whole lot better than a camera that didn’t receive the upgrade. Shots will also have a more natural look and there will be no focus on over-shooting. Since the current One-Shot AF mode only makes use of Contrast AF, movements can be jerky, especially with over-shoot errors.